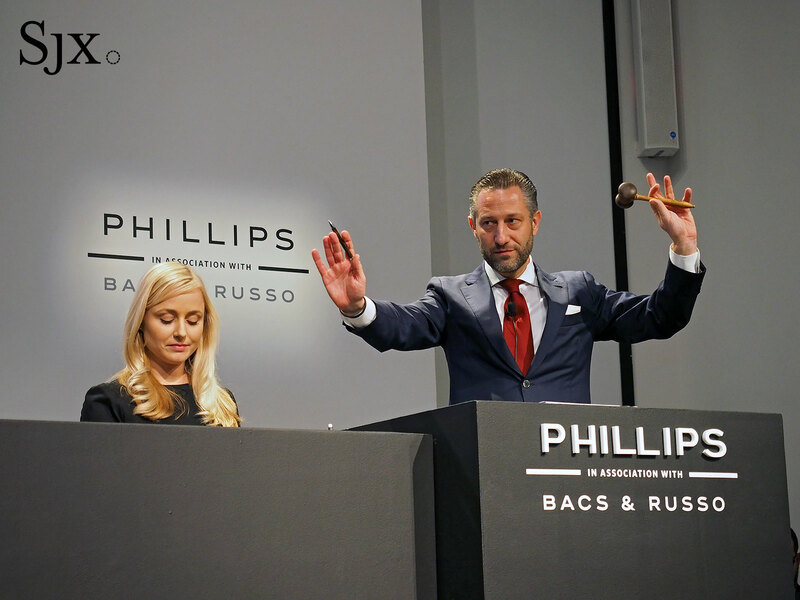 Phillips’ watch auctioneer Aurel Bacs – pictured above selling the US$17.5m Daytona last year – was recently in Singapore together with highlights from Daytona Ultimatum and The Geneva Watch Auction: Seven, twin sales that take place on May 12 and 13. Amongst the highlights were a trio of watches that will be sold for charity, including the Lange 1815 ‘Homage to Walter Lange’ in steel, and the Rolex Daytona ref. 6265 in white gold. The watches were on show in Singapore, one of Asia’s crucial markets, inside a branch of local retailer The Hour Glass, marking perhaps the first time a watch auction preview took place inside the premises of an authorised retailer. And the exhibition at the high point of the debate involving amateur scholars and detectives on social media who pick apart the offerings at various auctions. So it was an opportune time to have a chat with Mr Bacs, which I did, and here it is condensed into a five-minute clip.